When I started my fundraising career at a major research institution, Major Gifts were defined as “Gifts of $25,000 or more, given over 5 years or less.” In those days, a million dollar gift was considered huge, so I expect that this definition has changed. Regardless of the number, however, it is a definition that causes me grief. Over the years, I have worked at and with lots of organizations who had donors who annually gave them gifts at or above the level they had designated as “Major.” Oftentimes, these gifts came as a result of annual campaign activities. So, did their gift fall into the “annual” or the “major gift” category? And can you see the problem in defining one set of gifts via the calendar and the other via the cash register? I prefer more clarity in my definitions. I don’t pretend authorship of the following; I believe I learned it at an excellent training given by the Grassroots Institute for Fundraising Training (GIFT). In any case, what I love about this model is that gifts are defined by donor intent. Your Occasional Gifts are just that—gifts that are given by those who are not connected strongly with your organization (yet!). These are people you need to first qualify (is there a reason to believe that will give again?) and then cultivate to bring them up to the next level—that of committed donors. These are folks whose gifts, regardless of size, you can count on year after year after year. They are committed to what you do, and their ongoing generosity supports that. These are gifts that allow you to do what you do. Gifts that come for a purpose are more thoughtful. That is, your (often committed) donor needs to think about the purpose for which this gift will be used as well as the much larger amount you are (or should be!) asking for. You also have to think more concretely about these gifts—why you are requesting them, of whom, and—critically—how you are going to go about ensuring you raise enough to accomplish the purpose. Thoughtful gifts are one-time, though a committed donor probably will make more than one thoughtful gift in the course of his or her relationship with you. Planned gifts are the ultimate in thoughtful gifts. Ultimate because they are the result of estate planning—the endgame of a successful life. I always think of thoughtful (including planned) gifts as “and” gifts. 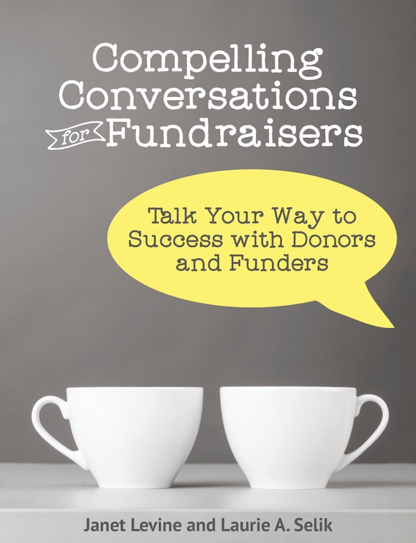 Most often, your thoughtful donors come from the ranks of your committed donors. Remember, you have been counting on these gifts, year after year after year, to help ensure that your organization can achieve what it set out to accomplish. In order not to cannibalize your day-to-day activities, you need to keep these committed gifts coming. Therefore, as you are thinking about a thoughtful gift from a committed donor, make sure you are thinking holistically. What is the total amount you want from this donor over the next 1-5 years? If John has been making a regular, committed gift of $5,000 to your annual fund, and now you want to ask him to make a $50,000 commitment to help fund your enhancement program, how much do you really need to ask for? If he agrees, say, that he will make this gift over a 5-year period, you need to be clear with him that for the next five years, then, you are counting on $15,000 each year–$5,000 for his regular annual gift and $10,000 to fulfill his thoughtful pledge. By redefining major gifts as thoughtful, you will be doing both your organization and your donor a favor. The emphasis moves from simply size to purpose—and it is purpose that helps everyone meet his or her goals, dreams, ambitions. Janet Levine works with nonprofits, helping them to maximize their fundraising capacity. Learn more at http://janetlevineconsulting.com. While there, subscribe the to the free newsletter. This entry was posted in fundraising and tagged Ask, committed donors, development, fundraising, occasional gifts, solicitations, thoughtful gifts. Bookmark the permalink.